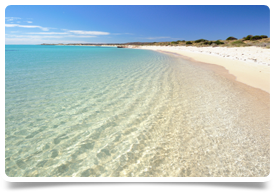 GP post available, located in the coastal suburbs of North Perth. Busy well established bulk billing practice with minimum earnings guarantee. You will be working in a modern purpose built practice with a friendly and supportive team. The practice is busy and fully booked giving you the chance to earn a high income in a structured and well run environment. 70% of billings and average earnings of c.$300,000 per year. You will have the chance to pursue specialist interests and there is no on call commitment. The Practice will also pay your first months rent and help with advice in regards to accommodation and settling in. To be considered for this position you must have MRCGP with CCT/PMETB/Prescribed JCPTGP or FRACGP or equivalent. Coastal suburbs of Perth, you will living and working in one of the fastest growing areas of Australia. Australia’s only capital city on the Indian Ocean, Perth has a large UK ex-pat community and is popular with all age groups. There are excellent bars and restaurants in the city centre and the suburbs and surrounding areas have award winning wineries and stunning beaches.